How to make a Stick Paper flower easily at home. Hey are you flowers lover? Do you want to decorate your home with flower? But real flower will be damage in 7 days maximum. But you know, a paper flower will be look like real flower. You look upon the image. Is it look like a real? Are you seem that is it capture from a garden? You wrong. Its make using color paper. Lets watch a video that learn you how to make a paper flowers like this. I think that after watching the full of the videos you have nothing question to have. But, if you have any question you can directly contact with me via our social page. check the link end of the post. I have lots of other paper flowers tutorial in this channel. I give you some link to you. Number 1: Diy Stick Paper Flowers This is my latest video in my channel. A big video coming tomorrow. Subscribe my channel right sidebar. Number 2: How to Make DIY Daffodils Paper Flowers Daffodils Flowers one of the best amazing flower in world. Watch the video must. Number 1: How to make paper flowers This is not a silly tutorial. I believe that you like the video and share with friends. I not only make paper flowers video tutorial but also I make some other paper craft video tutorial. You may called Origami video. 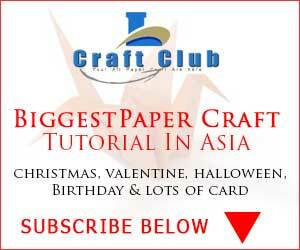 Paper cards, Christmas card, Halloween card, Birthday card, Valentine card, Love card and so many one. I had also a world cup best country jersey design in my channel. Hope its will be make you happy more.